Do you want to help your child ages 3-24 discover their passion in Computer Technology fields? 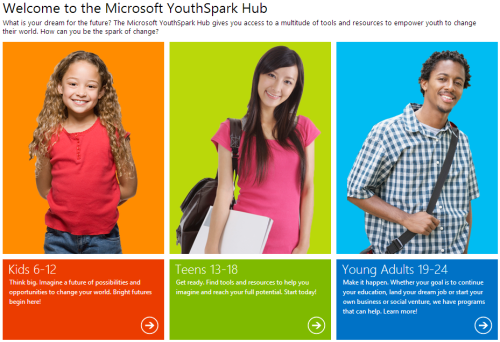 Visit Youth Spark Hub to help your child close the gap on their technology skills. In the future companies will require more employees with computer skills in the workplace. However, studies show that some of our children don’t have the interest or are lacking access to valuable resources, training and skills to empower our youth to change the world. We had the opportunity to join a Youth Spark roundtable in Southern California and witnessed the impact the program is making in the lives of our children. We learned that one of the areas that are hardest hit is our young adults. After youth graduate from high school many of our kids are making a decision not to pursue college or are unable to find employment after they graduate. Through Youth Spark youth ages 6-24 can learn about cool new technologies, build valuable skills, and imagine ways to create innovative apps. Youth Spark also will also provide access to free software, computer programming training hubs and show you how other youth around the world are changing the world. It is a great place for youth to get inspired about careers in Technology and learn about computers even if you don’t know where to start. For additional information visit the YouthSpark Hub. Microsoft provides cash grants to eligible organizations whose missions and activities support youth development. For more information, see our Nonprofit FAQ. 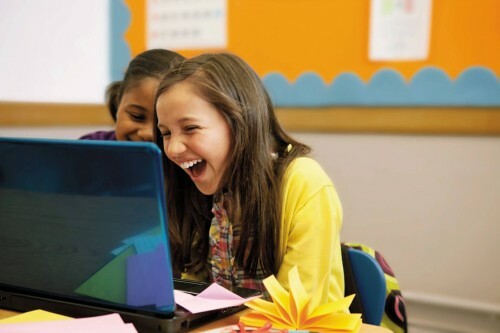 Microsoft also donates software and services to a broad array of eligible nonprofit organizations. Visit software donation page for more information on eligibility and how to apply.